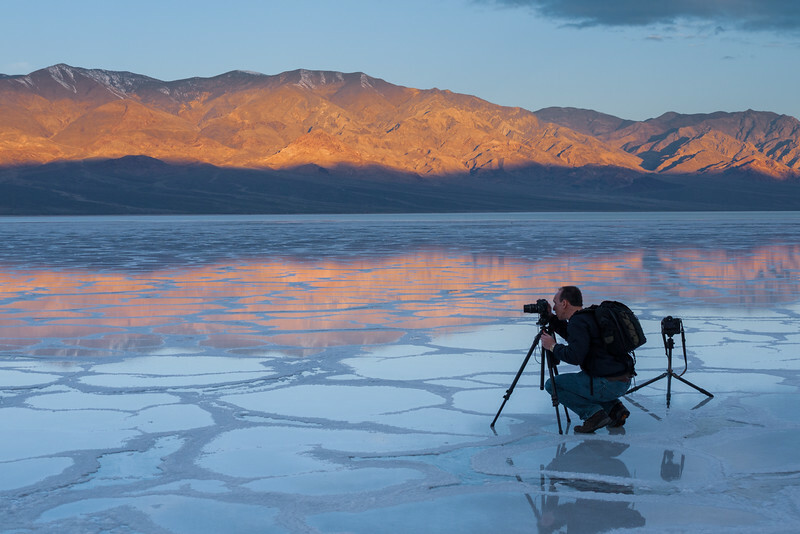 In Death Valley, you can find colorful land forms, snow-covered peaks, beautiful sand dunes, amazing canyons, and some of the best photo opportunities in the world. We will photograph places such as Ubehebe Crater, Badwater, Artist Point, Dante's View, the Race Track (conditions allowing), and Rhyolite known as The Queen City of Death Valley. This workshop is open to of all levels of photography, using 35 mm to large format, film and/or digital. We will be photography the full moon rise/set during the March equinox! March is also wildflower season! He has led over 10 workshops to Death Valley! -We will meet you in the late afternoon at Stovepipe Wells. On this first day we will start with a park orientation and introduce each other. Afterwards, we will focus on composition and nuances of color while photographing the sunset. Also, night photography will be on the agenda conditions allowing. - This will be a full day in Death Valley. We will begin by rising before dawn to photograph the sunrise. -Once again, we will begin early in the morning. This the actual full moon and March equinox. We will head north to shoot Rhyolite ghost town, Ubehebe Crater (pronounced you-be-he-be), and the possibly the “moving stones” at the Race Track Playa. Note that the Race Track Playa road is VERY rough. I will recommend renting a jeep with a GPS at Furnace Creek if conditions allow us to drive out there. 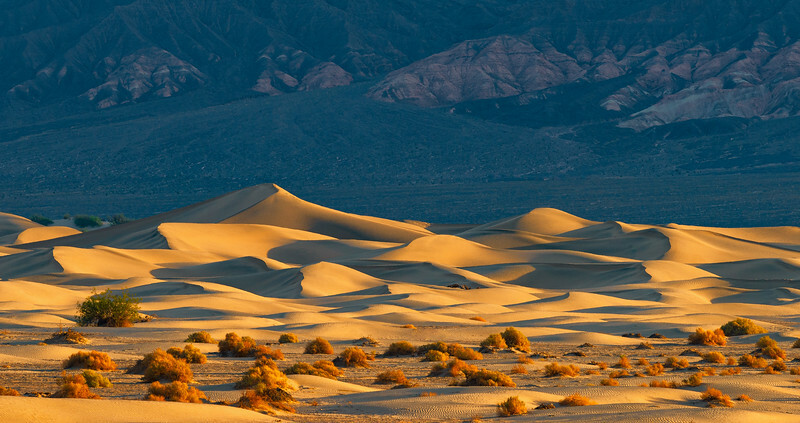 -This last day we will rise to photograph the Mesquite Dunes at Stove Pipe Wells. This is a favorite place for many photographers. By about 10 am the workshops will conclude. There is a discount for previous workshops participants. This class in limited to 12 people. YOU NEED TO MAKE YOUR OWN ROOM RESERVATIONS AT STOVEPIPE WELLS -Give yourself plenty of advance time since these rooms sell out quickly. Workshop reservations are on a first come, first serve basis. Please provide a phone number and email address. Important details: All permits have been secured. I also have training in both CPR and First Aid. However, you will be asked to sign a release form before attending the class. All types of cameras are welcome. Sturdy tripods are recommended. If you a renting a vehicle, try to get a SUV 4 wheel drive. Check your auto insurance to confirm your coverage. Jeep rentals are are available at Furnace Creek if we journey to the Race Track Playa. https://farabeesjeeprentals.com They run about $325 for 22 hours which can be shared by a carload of individuals. Make sure the spare tire is good, you have a jack and a tire repair kit. A few the roads we take are very rough. We will carpool to different locations once we get to the Park. Bring clothes for a mix of temperatures, from cold mornings to warm afternoons. Bring shoes that you are comfortable walking in over rough terrain. Note that the center of activity will be at Stovepipe Wells. Accommodations, food and transportation are NOT included. We will eat meals together, but it is not required. You will receive an email with the exact meeting place and time approximately 2 weeks before the workshop. Las Vegas, NV. McCarran International Airport is about a 2.5 hour drive from Death Valley. Los Angeles is about 5.5 hours.